payments. As a result, they still owe more money than they can pay to creditors, and now they owe taxes, too. 2. Don’t try to pay those loans from family members first. One of the things many people think of doing when they get into financial hot water is to try and pay off family members before filing bankruptcy, or before a creditor gets a judgment. While the impulse to try and pay off those who are close to you is understandable, it may be a very bad idea, for several reasons. It may cost the family member you are trying to protect a lawsuit, depending on when you do it and what happens later. It may eliminate bankruptcy as an option to help you, or make your bankruptcy more expensive. And it may not work- many such payments can be unwound, whether you plan to file bankruptcy or not. A better option is to consult with a lawyer before making any such payments, and find out what kind of problems you may be creating yourself. If you’ve already done it, consult with a bankruptcy lawyer anyway. Many times I can offer clients with family obligations better options, and accomplish the same goal while reducing their risk. One further note –I’m talking about loans from family members, not child support or alimony obligations. 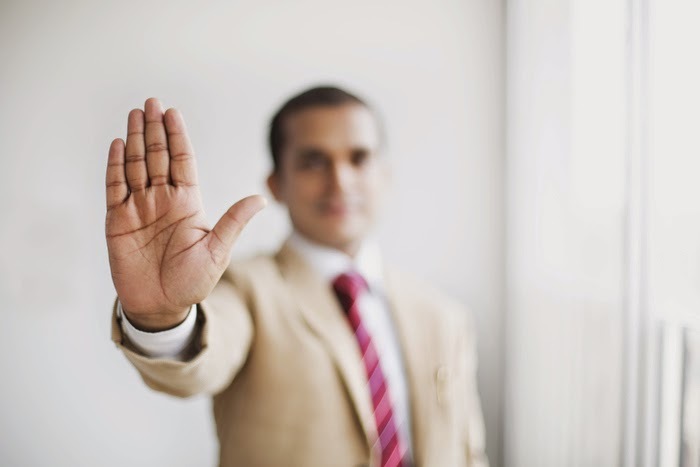 Pay the things the Bankruptcy Code calls “domestic support obligations” or some judge may throw you in the pokey. 401k or IRA_ and made it free game for those creditors, and for a bankruptcy trustee. Absolutely, positively do not do this without consulting a lawyer. 4. Another really bad idea is to transfer assets away when you run into financial trouble. Clients frequently tell me that they have some equity in an asset, and then ask me if they should transfer it to someone else. The answer to that question is almost always “no.” In fact, I can’t think of any exceptions to that rule, but I will leave it at “almost always” in case there is an exception I’ve never run into. Unfortunately, many of the people I talk to have already done that. I don’t call them “clients” because I may not be able to help them, so they don’t become clients. The transfer of an asset to keep it away from creditors is called a fraudulent conveyance, and it can have very serious consequences. It can restrict or eliminate the kind of bankruptcy relief you are entitled to, it can result in more law suits, and it can generally be unwound. And often the asset that was transferred away is one that is exempt, that creditors couldn’t reach anyway, that is, until you transfer it away. That’s right, once you give it away, you are no longer entitled to claim it as exempt property. You can really make a mess for yourself with this one, so don’t do it. months, and you are going to be out of work for surgery for two months. I’m talking about a situation where you’ve been laid off, and you’re facing an indefinite period without sufficient income to live on. Most of us would cross our fingers and try to keep paying everything for a month or two. But don’t continue to try to pay unsecured debt at the expense of paying the folks who can really hurt you, like your mortgage company. If you aren’t sure about which is which, and how you should prioritize the use of your savings, consult with an attorney, or with a financial counselor. How you should set your priorities, and what options you have depend on your individual situation, including your age, your assets, and how much you owe. If you aren’t sure, look for expert advice that is tailored just for you. 7. Don’t borrow against your home to pay unsecured debt. Don’t take unsecured debt (like credit cards, medical bills, personal loans and payday lenders and turn it into a mortgage. It is far easier to deal with unsecured debt, and protect your assets, than it is to pay off a mortgage on your home. Not to mention the fact that it could cause you to lose your home. 8. Don’t wait until the wolves are at the door before seeking help. This one is easier said than done, and often it is the folks who are trying the hardest who are the worst offenders. I recently met with a couple who told me that they had been struggling with the decision to seek help for three years. During that time, they lost their home and two investment properties to foreclosure, closed their business, and practically everything. Ironically, they knew more than most about what they could do, and should do, but were so engaged in the struggle that they ignored the advice they would have given anyone else. I don’t know any bankruptcy lawyer who doesn’t see some version of this story on a regular basis. Seeking help early can be invaluable, can help you avoid the worst mistakes, can help you preserve assets, and may help you avoid bankruptcy–exactly the things you are trying to do on your own. Seeking help is not an admission of defeat, it’s a way to fight better. 9. Don’t exhaust your cash. This sounds a lot like paragraph 5, but my focus here is a little different. One of the most persistent urban myths about bankruptcy is that you aren’t allowed to have bank accounts, or any cash. It isn’t true–you can keep your bank accounts and you not only can keep some cash, you are going to need it. Filing bankruptcy will immediately, and probably for some time, put you on a cash basis, and you are going to need a little bit of a nest egg to cover both ordinary expenses and emergencies. An experienced bankruptcy lawyer can tell you how much it is safe to keep, and what steps you need to take to protect your cash from creditors, whether you are in bankruptcy or not. Laws can vary from state to state, so you need to ask someone who is familiar with your jurisdiction. 10. Don’t ignore the problem. It is tempting to just stick your head in the sand. It is stressful and unpleasant to deal with financial problems. I occasionally have a client who comes in carrying a grocery bag full of unopened bills and notices. I can identify with the impulse to stick them somewhere unopened. But it can cost you, especially if you are missing critical notices of legal action taken against you. You can lose your rights, and sometimes your property, by not paying adequate attention to what your creditors are trying to do. Read your mail–that is crucial. You can talk to your creditors or not–I usually recommend NOT talking to the ones who call you, but if you want to talk to them, you place the call to them. You tend to get someone higher up the totem pole that way, who is actually in a position to help you. File your tax returns, even if you can’t pay the taxes–there is nothing more crucial than this. Besides the legality of failing to file tax returns, you need to know how much you owe in taxes. I’ve had more than one client over the years who didn’t file a return because he didn’t think he had the money to pay, only to find out years later that the actual tax was fairly minimal. Of course, the penalties and interest due for failure to file is NOT minimal. Even if you are what lawyers call judgment-proof, you still need to track follow what your creditors are doing, to make sure they don’t do something they aren’t supposed to. So don’t be an ostrich, man up, and go see someone about those financial problems. I’d be willing to bet you’ll feel better afterward. A confirmation order may only be revoked if it was procured by fraud. 11 U.S.C.§ 1141.
binding on all creditors because they had actual notice of the general release in the plan. The court relied on the U.S. Supreme Court decision in Travelers Indemnity Co. v. Bailey and the plain language of the confirmed plan. The questions posed were (1) whether the creditor had adequate notice of the plan terms and an opportunity to object, and (2) whether the language in the plan and confirmation order covered the creditor’s claim. Finding in the affirmative on both issues, the plan was given res judicata effect. Another 11th circuit case found likewise. In In re Optical Technologies Inc., even though the creditors in question were NOT served with the fourth amended plan, they were later served with a summary explaining the differences between the third and the fourth amended plan, as well as the scheduling order for the confirmation hearing, but failed to appear. Although the case involved modification of leases (some of which had expired PRIOR to the filing of the case) that involved non-debtor third parties, both the District Court and the 11th Circuit Court of Appeals ruled that the creditor’s complaint amounted to a collateral attack on the confirmation order. Strangely enough, this occurred even AFTER the original bankruptcy court had ruled FOR the creditors on the premise that, either (1) if there was no lease in existence at the time of filing, there was nothing to modify, or (2) because there were non-debtor entities, the lessees were not given a meaningful opportunity to participate in the bankruptcy case. impermissible, and the bankruptcy court was bound to enforce the terms of the plan as written and confirmed. 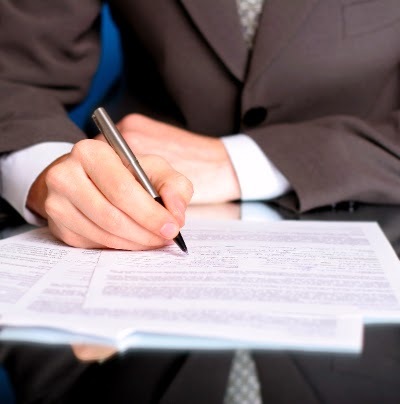 Thus, creditors need to pay attention to the plan documents and object prior to confirmation, or at least seek to have the relevant claims and/or issues reserved for later adjudication. Need more information? Please contact me at: jlm@jonlmartinlaw.com. any time to think about the future and what it might contain? What contingency plans do you have if your situation suddenly goes very wrong? Bankruptcy is never a first choice, but it may be the only choice if you fail to plan. 2. Liabilities exceed assets. “We’ve got a lot more debt, but we can manage it as long as the payments don’t go up and our credit lines remain untouched.” Really? How many consumers have been forced into bankruptcy because of these very events? And it gets worse! Wells Fargo has a policy of freezing customer accounts as soon as a bankruptcy is filed. This creates its own havoc and hardship that a little advance planning could avoid. 3. Expenses exceed income. Do you really know what your income and expenses are? How much have you had to subsidize your business each year for the last few years with personal savings, (401k) withdrawals, or credit card advances? It may be way past time to make some tough decisions. 4. Profits are non-existent. Is there room in your operating budget for reserves or expansion of the business? Part of the way to avoid denying that there will ever be a problem is planning for one to happen. Sudden disasters cannot always be anticipated, but you can plan for them. 5. Ignoring past mistakes. Remember, this is not about blame; it is about taking the blinders off and looking into reality. Only by looking backward can you tell what needs to change in order to succeed going forward. Believe it or not, a bankruptcy attorney can help you avoid bankruptcy, by helping you fix some mistakes that you are making now. At the very worst, you can see what the effects of a bankruptcy would be, or find out what hurts and what helps. 1. Everyone will know I’ve filed for bankruptcy. Unless you’re a prominent person or a major corporation and the filing is picked up by the media, the chances are very good that the only people who will know about a filing are your creditors. 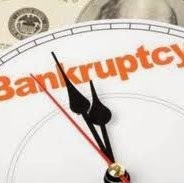 While it’s true that bankruptcy is a public legal proceeding, the numbers of people filing are so massive, very few publications have the space, the manpower or the inclination to run all of them. 2. 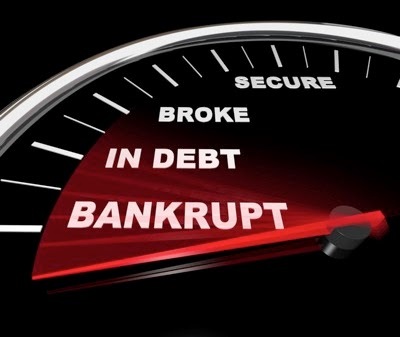 All debts are wiped out in Chapter 7 bankruptcy. You wish. Certain types of debts cannot be discharged, or erased. They include child support and alimony, most student loans and debts incurred as the result of fraud. It’s also very unlikely that a judge will discharge legal settlements you’ve been assessed, such as money you’ve been ordered to pay to someone who sued you for injuries incurred as a result of an accident caused by you when you were intoxicated. 3. I’ll lose everything I have. This is the misconception that keeps people who really should file for bankruptcy from doing it. They think the government will sell everything they have and they’ll have to start over in a cardboard box. For most people, they’ll pass through a bankruptcy case and keep everything they have. If you have a mortgage or a car loan, you can keep those as long as you keep making the payments (like the rest of us). 4. I’ll never get credit again. Quite the contrary. It won’t be long before you’re getting credit card offers again. They’ll just be from subprime lenders that will charge very high interest rates. “There are innumerable companies that will provide credit to you. I don’t advise any of my clients to run out and run up the bills again, but if someone does need an automobile, they can go and will be able to get credit. You don’t have to go underground or something to get money. However, if you’re planning to buy a house or a car, you might want to do that before you file. Those loans will be tough to get and the higher interest rate on such a large purchase would make a significant impact on your payments. Also, if you have a credit card with a zero balance on the day you file for bankruptcy, you don’t have to list it as a creditor since you don’t owe any money on it. That means, you might be able to keep that card even after the bankruptcy. 5. If you’re married, both spouses have to file for bankruptcy. Not necessarily. It’s not uncommon for one spouse to have a significant amount of debt in their name only. However, if spouses have debts they want to discharge that they’re both liable for, they should file together. Otherwise, the creditor will simply demand payment for the entire amount from the spouse who didn’t file. 6. It’s really hard to file for bankruptcy. It’s really not. You don’t even technically need an attorney. However, it’s not recommended to go through the procedure without one. I have seen more than one person leave the 341 hearing with rivers of tears flowing when some expertise would have avoided any hardship. 8. I don’t want to include certain creditors in my filing because it’s important to me to pay them back someday and if the debt is discharged, I can’t ever repay them. Bless you for even thinking about such a thing. You’re no longer obligated to repay them, but you always have that opportunity. If your conscience won’t let you sleep nights because you didn’t pay your debts, there’s nothing in the bankruptcy code that prevents you from doing that once you’re back on your feet. But bankruptcy is an all-or-nothing deal, so you have to include all your creditors in the petition. 9. Filing for bankruptcy will improve my credit rating because all those debts will be gone. That sounds like an ad for a bankruptcy lawyer trolling for clients. Filing for bankruptcy is the worst ‘negative’ you can have on your credit report. Unlike other negatives, which stay on your report for seven years, bankruptcy can be there for 10 years. 10. You can’t get rid of back taxes through bankruptcy. Generally speaking, this is true. However, there is such a thing as tax bankruptcy. To get a shot at it, you have to file all your returns and the taxes owed need to be at least three years old. 11. You can only file for bankruptcy once. The truth is, you can only file for Chapter 7 bankruptcy once every eight years. For Chapter 13 reorganization, you can file more often than that, but you can’t have more than one case open at the same time. Multiple bankruptcies are really bad. Many people get into the habit of once they’ve done it, it becomes a way of life. This is not good for your karma. Or your credit rating. 12. I can max out all my credit cards, file for bankruptcy, and never pay for the things I bought. That’s called fraud and bankruptcy judges can get really cranky about it. The trustee in your case will review all your purchases right before your filing. He knows what to look for.